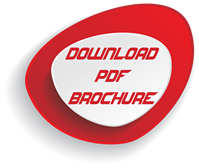 Take control of inventory organization and access in a way you never thought possible with economical Flexi-Bins storage solutions. Flexi-Bins easily adjustable sliding dividers and modular design allows you access to small parts and storage items instantly and easily. 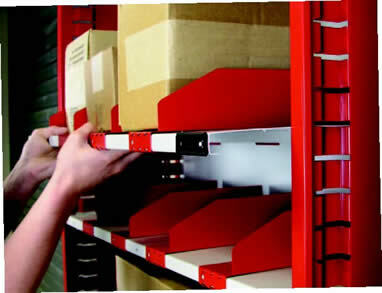 Sliding dividers adjust horizontally, and self-locking shelves can be raised and lowered without disturbing shelf contents for even greater time saving convenience. 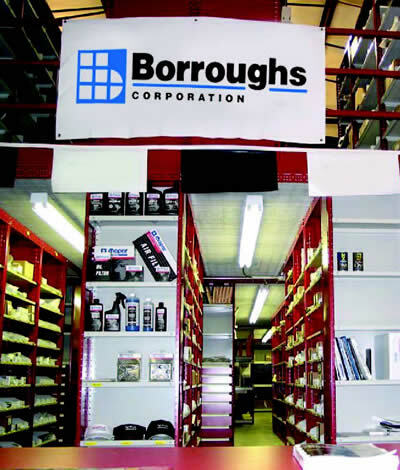 Efficiently organize and store items ranging from electrical components, small parts, tools and hardware to literature, binders and small boxes. Flexi-Bins standard white back panels improve picking visibility and efficiency. 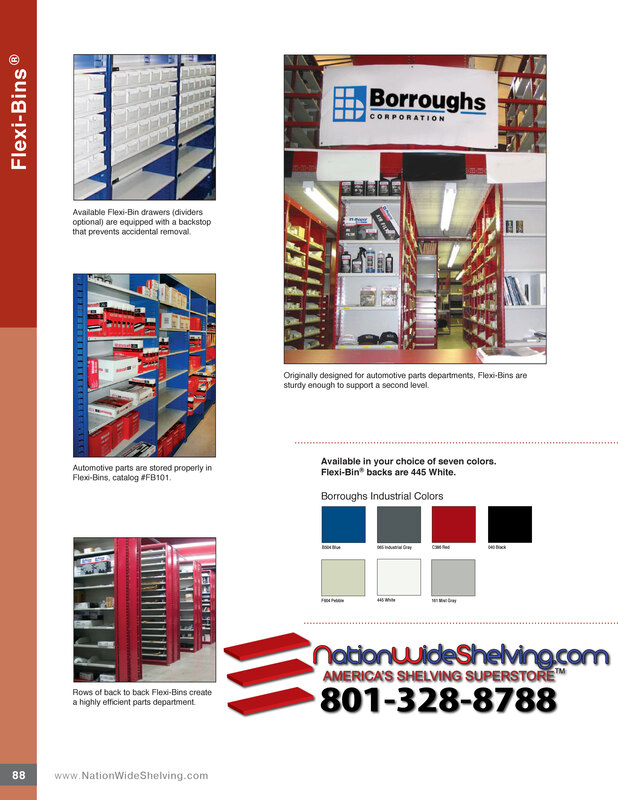 Optional trim panels are available for a finished appearance. 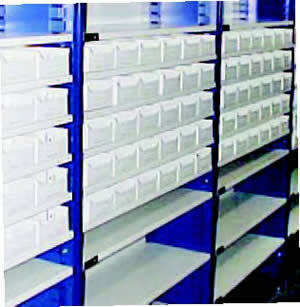 Install Flexi- Bins as stand alone units or in back-to-back rows. 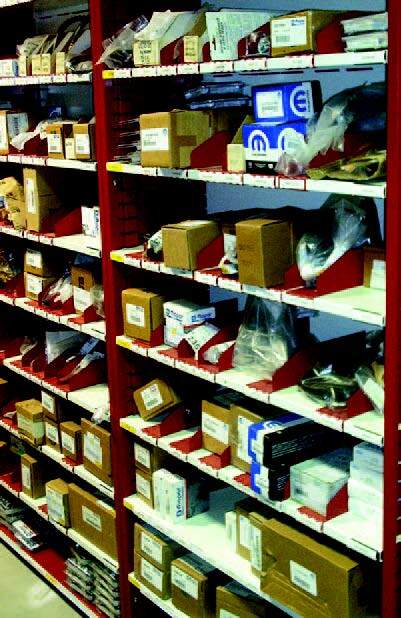 Today, Flexi-Bins are a favorite among auto parts stores, distribution outlets and retail operations. 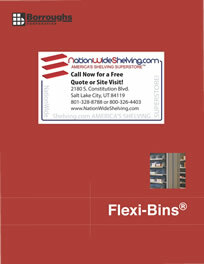 For improved inventory control and organization it’s impossible to beat the functionality and value of Flexi-Bins. Flexi-Bins allow parts to remain in proper sequence for quick identification and retrieval. 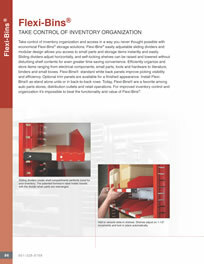 Inventory control is increased and parts personnel are more efficient. 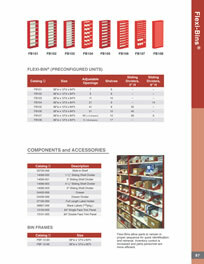 Originally designed for automotive parts departments, Flexi-Bins are sturdy enough to support a second level. Flexi-Bin® backs are 445 White. 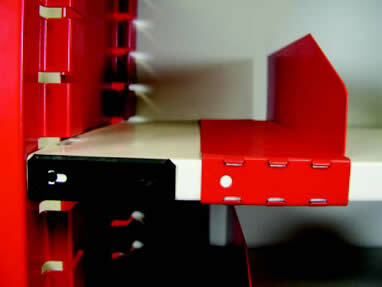 Available Flexi-Bin drawers (dividers optional) are equipped with a backstop that prevents accidental removal. 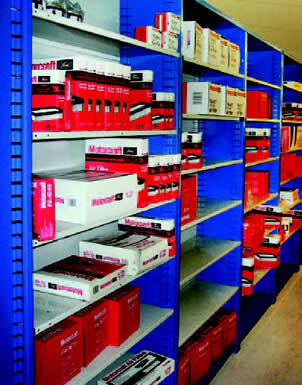 Automotive parts are stored properly in Flexi-Bins, catalog #FB101. 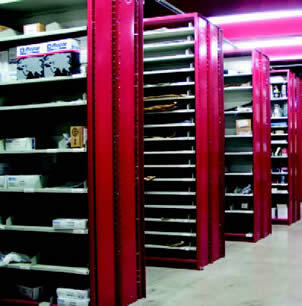 Rows of back to back Flexi-Bins create a highly efficient parts department.